Let us continue to use the hypothetical case study from last article. Case credit to Charles Filewych, CEO, Smart Grid Interconnect. Used here with permission. Using this same case study, let us focus on another aspect of utility transformation — distributed energy resources (DERs). DERs are all about providing energy into the grid closer to the edge — meaning, closer to where the customers are. So, what does this mean? What does this mean to the utility? Two-way power flow: The distribution system worldwide is designed to be radial in nature. This means that the system is designed for one-way power flow — from centralized generation sources to consumption. This paradigm is being upended by the introduction of DERs that are generating closer to the consumption. This is a change of a very fundamental nature and impacts everything in the grid from design of the infrastructure, infrastructure protection, people work procedures and safety, all the way to grid operations, system planning, commercial operations and beyond. New technical and business configurations: The advent of DERs and reductions in their costs are also allowing entities to start thinking of the possibility of reducing their dependence on the utility and the grid. Enter the microgrid. Microgrids can be defined as a group of interconnected loads and DERs with a clear set of electrical boundaries and can act as a single entity both physically and from a control perspective. These entities can also result in the reduction of the load from a utility (reduced revenues) and also entities fully within a utility environment but controlling themselves. New players entering the marketplace: The advent of DERs is also bringing in new players such as DSO (or DSPs, as defined in the New York REV), aggregators and other players who will all have a role in this new energy equation. The main impact of these new businesses being created is, 1) a new set of companies may be servicing the customer, who for the most part was being serviced by the utility, leading to reduced revenues for the utility as well and, 2) DSOs will also be bringing in retail market operations with them, forcing the utility industry to once again transform itself to provide market-based services to its stakeholders. New business models: The advent of DERs into the marketplace — and the new players — will result in the traditional utility model, with the typical situation of losing customers and reduced energy sales, thereby resulting in an overall reduction in revenues. Companies such as Edison Energy, Con Edison Solutions and others are examples of utilities that are going outside their traditional rate-base but delivering unregulated services to their (and other) customers. This time around, it is a very different situation. They are not providing services such as Internet services and so on — they’re not aligned with their core capabilities. This time around, the services offered are somewhat aligned with the utility’s core competencies. Conclusions and closing thoughts — how does the utility transform itself with these generation-at-the-edge capabilities? 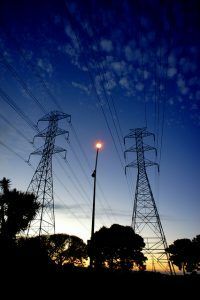 The future in this area is moving more and more toward increased penetration of DERs in the utility and reduced costs for their installations. Utilities will need to transform. While the present pace of the movement toward a distributed world is slow, the pace is slowly moving up exponentially as it accelerates and at some tipping point in the future, the course will change irreversibly. Author’s note: This is a part of a series of articles written by this author for Intel. This is the fourth article, and the next set of articles will continue to expand on the concepts introduced in the first, second and third articles. The author: Dr. Mani Vadari is founder and president of Modern Grid Solutions (MGS), delivering consulting and training services to a global set of smart grid companies seeking deep subject matter expertise in setting the business, technical and strategic direction to develop the next-generation electric/energy system. Dr. Vadari’s Smart Grid Training is delivered to educate the executives and management of the new workforce, and his book “Electric System Operations: Evolving to the Modern Grid” is being received with five-star reviews by industry leaders. Dr. Vadari has published more than 50 articles and 30 blogs in leading business and technical journals.